We design fully responsive websites and progressive web apps, plan marketing campaigns that are tailored to each of our clients specific business needs. We are experts at generating leads and sales enquiries using a mixture of online marketing techniques. These include, but are not limited to, search engine optimisation (SEO), pay per click (PPC) and social media marketing. Websiteseveryday are a Crawley based web design and online marketing company. We offer extensive expertise in responsive web design and all forms of online marketing. This includes, but is not limited to, pay per click marketing (PPC), search engine optimisation (SEO), social media marketing (Facebook, Twitter & Google+) and a whole lot more besides. We understand that sales and new business enquiries are the number one concern for all business owners. That’s why our online marketing solutions are designed to establish your website as an online resource that cannot be ignored by major search engines. 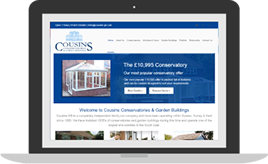 So, to ensure you are getting the most from your website and marketing budget, contact us today for a FREE marketing consultation and let us show you how we can help your business. 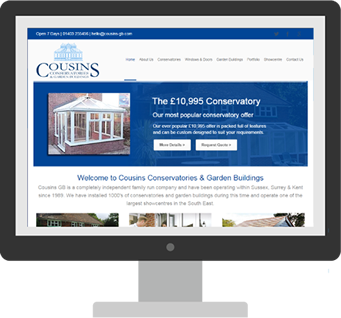 We believe in building websites that are optimised for all viewing devices. SEO is about driving targeted traffic to your website. Google Adwords forms a fundamental part of our online marketing strategies. We believe social marketing is an opportunity that cannot be ignored.